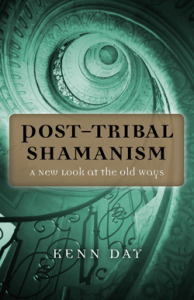 Post-Tribal Shamanism: A new look at the old ways is based on the author, Kenn Day’s experiences and the teachings he passes on from Grandfather, his spirit ally, friend and mentor, as well as from his 30 years of practice passing on these teachings in person through workshops. First going into the background of shamanism and the role of a shaman the author explains that ‘It is difficult to find words to describe clearly the unseen worlds of the shaman and the work the shaman does’. However Kenn Day seems to have managed this task admirably and this book contains a vast wealth of information including a wide range of useful practical exercises. The book continues with further definitions and topics including social evolution and post-tribal ethics, also exploring the differences and similarities between the work of the traditional shaman that the author has met and his path as a contemporary post-tribal shaman. The practical information and exercises include such essentials as: connection with our ancestors; journeying techniques; working with a wide range of spirits; soul retrieval and healing the invisible wound. However it also further includes exercises in lucid dreaming and ceremony and ritual, going right through to preparing for death. Another added value to this book is that Kenn Day uses and includes alternative methods to altering your consciousness other than the usual drumming. While drumming is an excellent method, as he states, it is written about extensively in many other places and isn’t necessarily the best choice for every person or every situation. 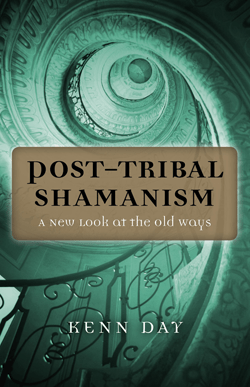 In Post-Tribal Shamanism: A new look at the old ways Kenn Day explains that no book or workshop can make you into a shaman but the tools of the post-tribal shaman can benefit and enrich anyone’s life. In this book he has provided a multitude of excellent tools for the reader to explore plus a wide range of information about shamanism and the work of a post-tribal practitioner. Highly recommended reading for anyone interested in shamanism. ← One Hundred Tips To Love Your Life!